I have a big thing about carrying a classy looking purse. I want my bags to be leather (or vegan leather) with no pattern. Don’t get me wrong, I went thru a Vera Bradley phase back in the day, but I find that a nice leather bag with clean lines in a good neutral can go with just about anything. That’s why finding a diaper bag was really hard for me. I did find some bags that were had the functionality that I wanted, but they all had patterns, and I just didn’t want to have to sacrifice my style for the right kind of pockets. 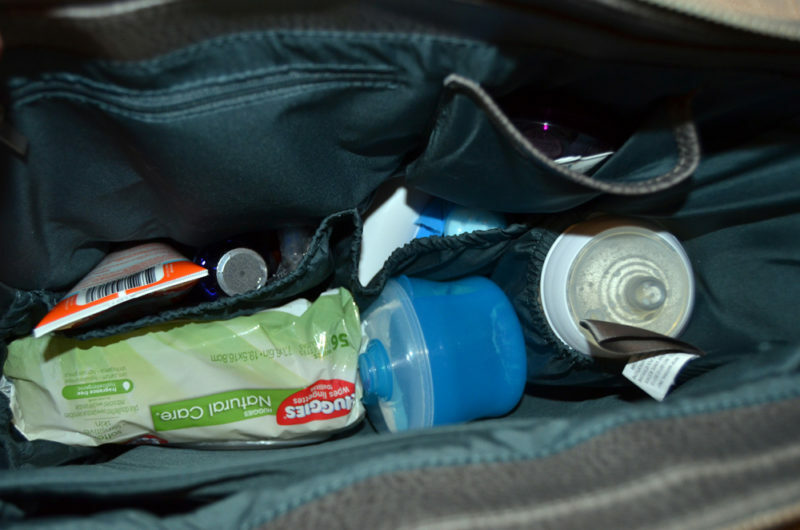 I actually considered carrying one of my oversized purses as a diaper bag, but it was missing a key functionality for me – a way to easily change Milli’s diapers on the go. That’s why I was so happy that I ran across the Matt & Nat brand of diaper bags. Of course, this diaper bag was going to be a pretty big investment, so I wanted to find some good images of the bag, so I could tell what I was getting. Unfortunately, even the Matt & Nat website didn’t have the images I was looking for. But, I took a chance and went with the Percio style in Charcoal (no longer available in this color). I have to say that I’m very glad I went ahead and got this bag, because I love it. The bag is well made, looks classy, and functions in a way that is convenient for me. 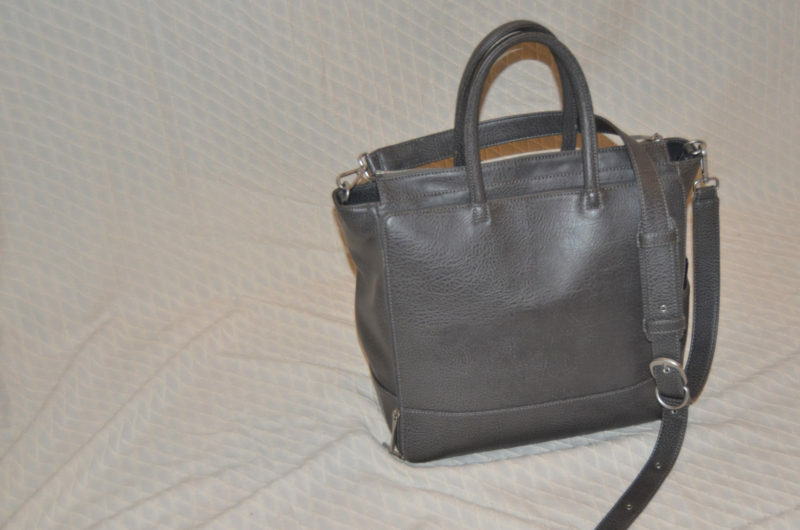 The bag can be carried by the handles, or cross body style using the long strap. The front has a pocket that I can slip my phone into. 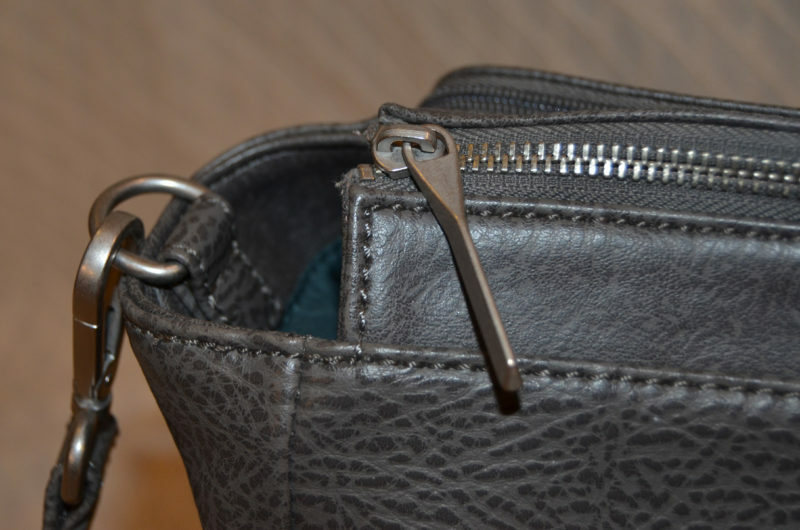 And there is also an exterior pocket on the side that is the perfect size to slip my wallet into when I don’t want to carry around a diaper bag and a purse. And the entire back of the bag zips open to be used as a changing pad. This section has a large zipper pocket and two elasticized pockets. I use those to store the diapers. My favorite part about this is that the pad section Velcros in place, so it can be removed to be cleaned separately, though both the interior and exterior material wipe down easily. The inside of the bag is full of pockets! The interior on the front side of the bag has a small zipper pocket at the top (which I totally store breath mints in), along with an open upper pocket that I toss my keys and chap stick in. Below that are two wide elasticized pockets that I use to corral extras for diaper changes (baby powder, diaper rash cream, and disposable bags) and medicine (gripe water, gas drops, and the like) in. Each side has a pocket which is a perfect fit for a bottle. I keep the full one on the side that unzips first. And the back panel has a large flat pocket, which is where I slip documents we are given when we go places like the doctor’s office. It keeps them from getting bent up, and they are easy to find when we get home. Even with all that, I still have plenty of room for a large pack of wipes, a container of extra formula powder, a muslin or blanket of some sort, and extra clothes which usually include a sleeper and onesie, but this time of year also includes a sun hat and swimsuit. If you have a kid, what diaper bag did you choose? Do you love it, or wish you had gone with something else? 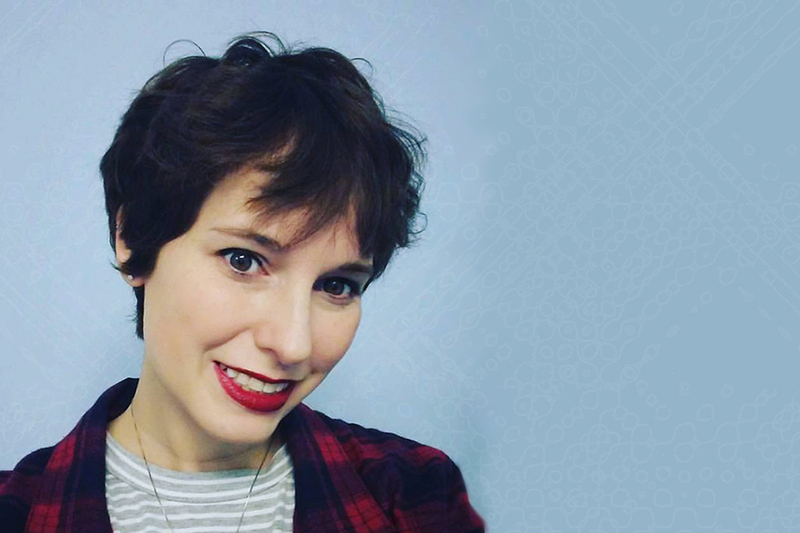 ← Previous Previous post: Bookish Questions – How do you feel about special editions? Well I have no use for a diaper bag as such, but that looks like a very nice overnight bag for a person who travels light! I’d like to have one of those! That is probably what I will use the bag for once Milli has outgrown the diaper bag stage. It will be a bag that will be easy to pack for her to go somewhere overnight.